Dr. B. Michael “Mike” Watson pastored Aldersgate with his wife Margaret for two years beginning in 1975. Aldersgate was Mike’s first church assignment after he graduatedfrom Emory University’s Candler School of Theology. Mike and Margaret’s son, Ben, was born while they served at Aldersgate, and they later had a daughter, Elizabeth, while serving at Christ United Methodist Church in Milton, FL. They now have five grandchildren. In 2000, Mike was ordained as a bishop. He is now the Episcopal leader of the North Georgia Conference. Two weeks ago, at a meeting of the Council of Bishops on May 2, 2015. Bishop Watson was elected Ecumenical Officer of the Council of Bishops. "I have prayerfully decided to accept this election and to retire as an active Residential Bishop at the end of the present quadrennium," said Bishop Watson. 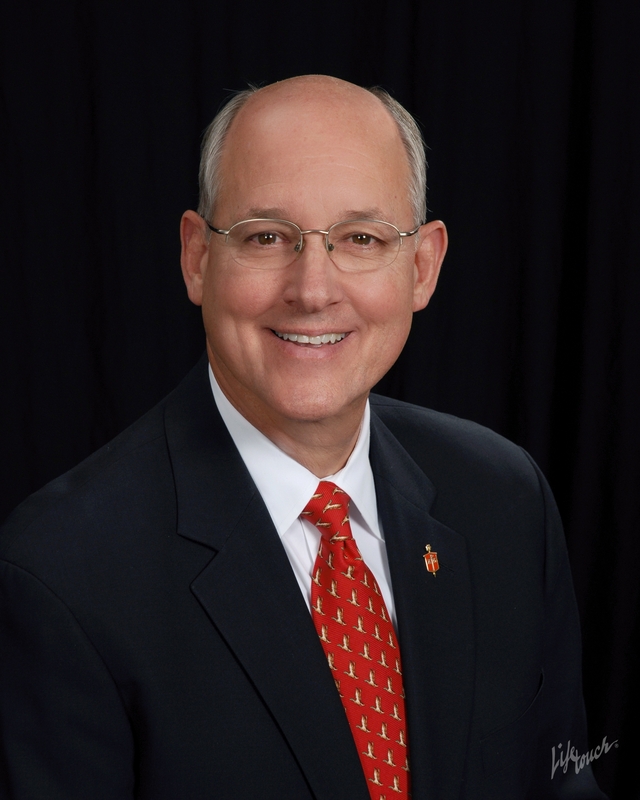 Bishop Watson will continue to serve as the active Resident Bishop in North Georgia until August 31, 2016. The Watsons will then relocate to Birmingham. Bishop Watson will work from Birmingham, and out of the United Methodist Church Council of Bishops offices in New York City and Washington, D.C. I recently spoke with Bishop Watson for the first time since 1977. He was as warm as ever, and spoke fondly of his time as Aldersgate’s pastor. He told me about the patience the congregation had with a young minister who had a lot to learn. He recalled the congregation’s excitement of loving Christ and spoke of the deep love they shared for each other and for his young family. He depicted the church’s loving and accepting attitude as a result of Aldersgate’s being created through the merger of Molino UMC and Pleasant Grove. It is difficult for two churches to merge, to come out whole and as one; but Aldersgate had accomplished that. The church grew under his leadership. When the Watsons moved on, the church was beginning to plan the sanctuary. The nursery started after their son, Ben, was born. Bishop Watson told me that Aldersgate taught him a great deal. He learned about responsibility, about how to deal with people and to approach them with patience and acceptance. I asked whether Bishop Watson had a message to share for us. He said he hopes we continue to share a deep love of Christ; he prays the future of the church will be bright and wonderful; and he prays for the congregation—Those he remembers and those who have joined since. Bishop Watson’s role in the ministry is quite different now. His biography is available at http://www.ngumc.org/bishop.